The Widnes Wild women’s team played their first home game of the Women’s Premier League season, losing 1-9 to Whitley Bay Squaws at Planet Ice Widnes on Sunday. The Wild women had played their first 4 games away from home and, with an ambitious new development policy in place this season where they have given league debuts to over a dozen players who have never played competitive ice hockey before, this was going to be a very significant first ever home game for a lot of players. This was very much the proverbial “game of three periods”. The first period ended 0-3 to the visitors but Widnes had their best spell in terms of shots on goal. In the second period, Whitley romped away with the game scoring 6 unanswered goals whereas, in the third period, the only goal went to the Wild women who defended resolutely and kept the Squaws attack at bay for the final 20 minutes. The biggest cheer of the night came in the 50th minute when the Wild’s Amanda Williams broke away to fire in the first and only Widnes goal of the game – to a crescendo of noise around the rink. Strangely enough – according to the match statistics (which never lie but often don’t tell the full story either), that was the Wild women’s only shot on goal for the whole of the third period which, as it beat back up netminder Megan Quigley who had only come on for the last 20 minutes, left the poor Whitley goalie with an incredibly rare “0%” save percentage record for a game which her team actually won by a large margin. The statistics show that this was a one sided game but, for the sizeable crowd watching, it really didn’t feel like that. The Wild players carried on with boundless enthusiasm for the whole game, regardless of the score and enjoyed lots of puck possession which they sadly were unable to convert into sustained attacks and shots on goal. But for a team, most of whom had not played league ice hockey before this September, to keep out an experienced side such as the Squaws who had several regular GB players in their ranks for even 20 minutes of the game shows the potential that there is in this new-look Wild women squad and can only bode well for the future as they get more games and experience under their belts. 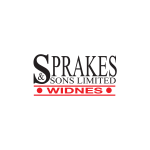 The Wild women are away to the Bracknell Firebees on Sunday 6th January and are next at home on Sunday 20th January when they host the Nottingham Vipers at Planet Ice Widnes. The Most Valuable Player awards (MVP) for the Wild women’s home games this season are being used to remember a heroine from the First World War. 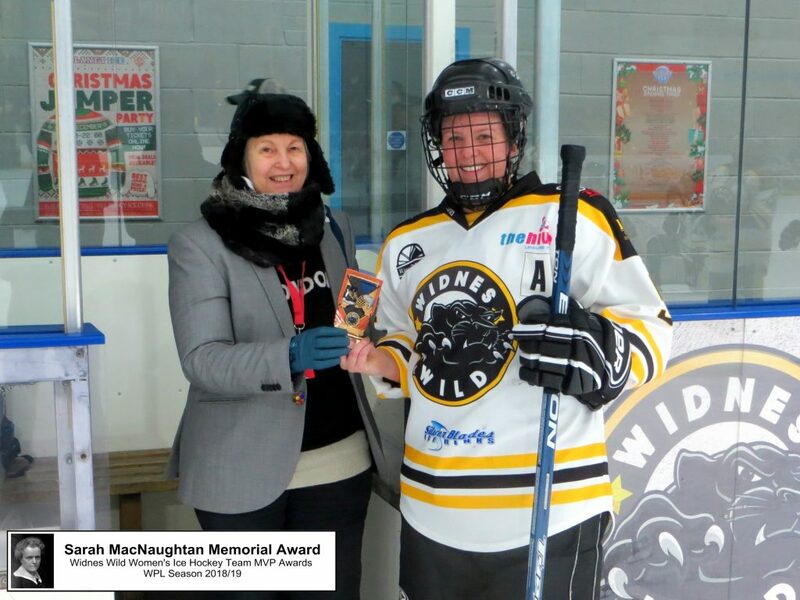 The Wild’s Poet In Residence Lucy London is sponsoring the match awards and is using the opportunity to spread the word about Sarah MacNaughtan – who was a well known writer prior to the First World War but is all but forgotten today. In September 1914, Sarah travelled to Antwerp in Belgium with Mabel St. Clair Stobart’s ambulance unit to tend wounded French and Belgian soldiers. When Antwerp was evacuated, Sarah ordered a special mobile kitchen from Harrods in London and had it sent over so she could set up a soup kitchen in northern France. After a speaking tour of England, Scotland and Wales, Sarah went to help out in Russia and Persia (now called Iran) in September 1915. During that time she continued to write books and have them published. Sarah returned to England exhausted and ill and died on 24th July 1916.